No Sabatier company owns Sabatier brand and yet the name Sabatier has become an industry de-facto standard as a superior performance professional service knife. This name originated in Thiers, France at the beginning of the 1800s. There are many knife manufactures using Sabatier as part of their branding. In 1921 Jean Déglon, from Switzerland, set up his workshop in Thiers, specializing in high quality knife manufacturing. This bread knife is my first experience with Deglon brand. So far my first impressions are favorable. The knife is sharp. My ultimate test for bread knife is cutting crumbly brioche. 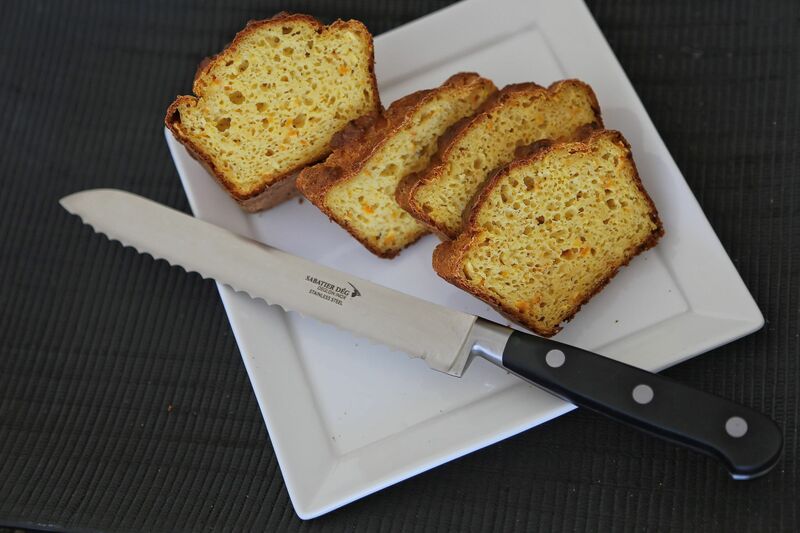 The Deglon Cuisine Ideale Bread Knife passed the test with flying colors – clean cut, no crumbles. One can argue if Deglon is genuine Sabatier or not, but at its price/quality ratio the knife definitely offers good value. To buy click the following link – Deglon Cuisine Ideale Bread Knife, 8-Inch . 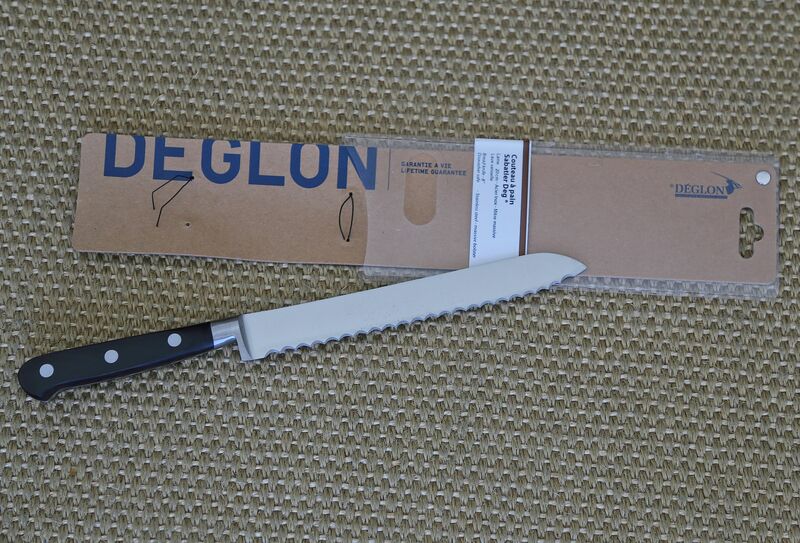 Only two months in the kitchen and the Deglon Cuisine Ideale Bread Knife is not already so sharp as it was out of the box, and that after very occasional use. Probably I need another bread knife.